Six games will be played on Saturday, 2 non-conference and 4 conference games. Only one game was played Monday night, and six are scheduled for Tuesday against 4 different conferences. The SoCon has a real opportunity to improve the overall conference RPI. BIRMINGHAM, Ala. -- Samford's Josh Sharkey scored 24 points to lead the Bulldogs past Houston Baptist 85-61 on Monday night. Robert Allen scored a career-high 14 points and grabbed seven rebounds for the Bulldogs who hit 12 of 24 three-pointers and got 19 second-chance points off of 11 offensive rebounds. Jalon Gates scored 17 points, Ian DuBose had 16 with a career-high 13 rebounds and Oliver Lynch-Daniels scored 12 for the Huskies. Only one game was played Sunday, and only one game is scheduled for Monday night as well. While the Mocs led at halftime against Ole Miss, they were not able to hold on for the win. OXFORD, Miss. -- Ole Miss's Breein Tyree and Terence Davis scored 20 points apiece as Mississippi defeated Chattanooga 90-70. Ole Miss shot 19 of 30 from the field in the second half, finishing 32 of 52. The Rebels finished 9 of 16 from the 3-point line. David Jean-Baptiste scored 15 points for Chattanooga, which led 39-37 at halftime. Jonathan Scott and Ramon Vila added 14 and 10 points, respectively. Scott had a team-high seven rebounds. 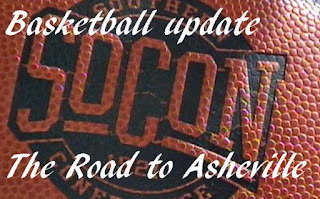 Six games were on the schedule Saturday night, and the SoCon went 4-2 at the end of play. ETSU and WCU are the two teams that lost their out-of-conference game. Furman, the Citadel and Wofford all three looked strong in their games. CHARLESTON, S.C. – The Bulldogs downed Southeast Missouri 86-74 in front of a crowd of 922 fans Saturday afternoon. The 'Dogs were led by Kaiden Rice's 19 points off the bench, and four of the Bulldogs' starting five eclipsed the double-digit point total for the fourth straight game. CHAMPAIGN, Ill. -- Trent Frazier scored 25 points on Saturday to lead Illinois past East Tennessee State 73-55. Giorgi Bezhanishvili scored 15 points and Kipper Nichols added 14 for Illinois (4-7). Aaron Jordan had a game-high 10 rebounds. ETSU (8-4) was led by Daivien Williamson's 19 points. Patrick Good scored 11 points and Jeromy Rodriguez grabbed 7 rebounds for the Buccaneers. GREENVILLE, S.C. -- Clay Mounce tied his career best with 26 points and added 10 rebounds as No. 23 Furman ran past the UNCW Seahawks, moving to 12-0 with a 93-50 victory Saturday. Mounce had six of the Paladins' 17 3-pointers, along with five assists, two blocks and two steals. GREENSBORO, N.C. -- UNCG's Francis Alonso scored 14 points, as the Spartans held off North Alabama 53-48 on Saturday. Isaiah Miller added 12 points for the Spartans. The 10 nonconference wins are UNCG's most as a member of Division I (1991-92). Jamari Blackmon scored 17 points and Kendarius Smith added 10 for the Lions (3-8). HIGH POINT, N.C. -- High Point's Brandonn Kamga and Jahaad Proctor combined to score 49 points as the Panthers breezed to an 86-59 victory over Western Carolina on Saturday night. Kamga tossed in 25 points, Proctor scored 24 and the pair both sank 10 of 14 shots. 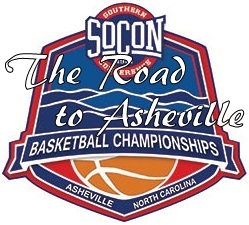 SPARTANBURG, S.C. -- Wofford's Nathan Hoover and Cameron Jackson scored 18 points apiece as the Terriers blew past UNC Asheville 92-49 on Saturday night. Hoover was 7 for 10 from the field and made 4-of-5 3-pointers. Jackson had seven rebounds and three blocks for the Terriers (9-3). Tray Hollowell added 14 points. Cress Worthy scored 12 points to lead UNC Asheville (1-9). DeVon Baker scored 11 points and Coty Jude added 10 points. No games are scheduled for Friday. Six out of conference games are scheduled for Saturday. This is a great opportunity to improve the conference RPI and NET. BIRMINGHAM, Ala. -- Samford's Josh Sharkey hit six free throws in a 10-0 Bulldog run in overtime in the Bulldogs 77-72 victory over Morehead State on Thursday night. Malik Riddle made two free throws to put the Eagles up, 69-67 with just under three minutes left. Sharkey answered with two free throws to tie and Brandon Austin put Samford ahead for good with a layup.